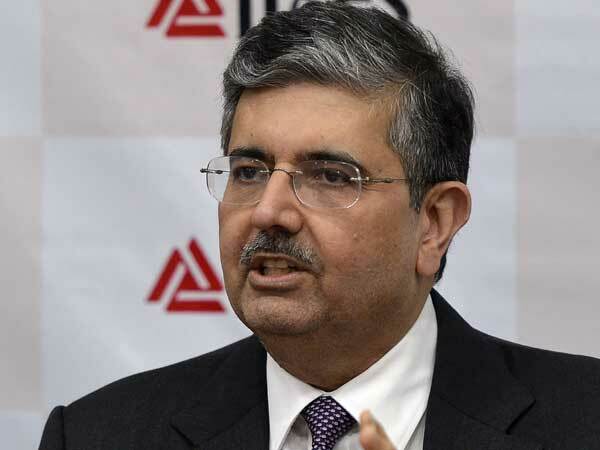 The Uday Kotak-led new board of Infrastructure Leasing & Financial Services (IL&FS) seems clueless about steps required to clean the mess at the infrastructure conglomerate. At several meetings since its reconstitution, the board has largely maintained status quo as every other day new facts are emerging delaying the resolution process. In its second report submitted to the National Company Law Tribunal (NCLT), the ministry of corporate affairs (MCA) has stated that the only options left with the new board are hiving off and selling entire business verticals of IL&FS to willing buyers. If this fails then each asset would have to be treated separately and then individual asset-level resolution could be considered, the ministry said. With complex financial conundrums of IL&FS, which is squeaking under Rs 91,000 crore debt, finding a single solution at this point of time would not be realistic, it feels. As far as financial structure is concerned, IL&FS is a systemically important core investment company registered with the Reserve Bank of India (RBI) with investments, primarily in subsidiaries and group companies. Since its core business was to invest and lend money to its group companies, all its revenues primarily consisted of divestment of developed assets, interest income and dividend income besides fee charged for brand name, guarantee and consultancy, from its group companies, and rental income. As per the interim report by the Serious Fraud Investigation Office (SFIO), the infrastructure giant had total revenues of Rs 1,899.47 crore and Rs 1,787.27 crore for FY18 and FY2017, respectively. For FY18, out of the total revenues of Rs 1,899.47 crore, the group entities contributed only Rs 1,759.21 crore. “As the revenues consisted of fund-based income and fee-based income, the former earned through investments and loans and advances, which were given to its group companies. The income earned was in the form of divestment of assets, secret dividend income and interest income. The period saw the income from interest on credit exposure increasing substantially,” the report said. While the fee-based income for IL&FS consisted of brand fee, consultancy fee, guarantee fee, project advisory fee and infrastructure advisory fee. The fee-based income for FY16 and FY17 were Rs 64.60 crore and Rs 108.62 crore, respectively, whereas for FY18 it was Rs 212.29 crore. However, the investigation revealed that the disproportionate fee-based income was being generated by IL&FS from its subsidiary companies, taking advantage of its control, with intent of keeping its standalone profit positive. As per the interim report, there were several instances wherein funds were routed through different group companies for servicing debt of IL&FS and IFIN. “All the group companies were regular in payment of interest or depositing tax deducted at source (TDS) on interest (for the purpose of recognition of interest revenue) for loans and advances provided by IL&FS. In case of a liquidity crunch faced by group companies for payment of interest or principal amounts advanced to it by the holding company, further loans were made available from IL&FS or other group entities, directly or indirectly, to service the loan and avoid the default,” it said. The Kotak-led board has taken several measures but the resolution of the crisis looks a distant dream. “The so-called group resolution, which would involve significant capital infusion from credible and financially strong investors, was not feasible. The group resolution, explains the piece, includes a condition that investors along with the new board engage with creditors, leading to an overall resolution across the IL&FS group,” the report said. As per the IL&FS board’ s progress report to NCLT where cost cutting measures such as assessment of liquidity and manpower optimisation have been mentioned, apart from evaluation of domestic and overseas assets and their sale for resolution. The board had taken charge after NCLT approved a resolution of the liquidity crisis at IL&FS given its huge debt. Specific cost-cutting measures include reducing operating costs by terminating non-essential real estate premises, closure of offices at various locations and leasing out offices of IL&FS Financial Services, salary rationalisation and separation of superannuated consultants. “These steps will yield 50 per cent savings in the wage bill of the IL&FS group. Several other measures are being initiated and they will bring down total manpower of the IL&FS group by 65 per cent and wage cost by 50 per cent,” the report said. “Lowering manpower by 65 per cent would reduce its Rs 1,066-crore wage bill by half, and cutting salaries and discontinuance of consultancy services of retired employees, would save another Rs 100 crore a year,” the report added. IL&FS has also initiated the process to sell its renewable energy business and has invited expressions of interest (EoIs) from prospective buyers. IL&FS’s assets from the renewable energy business put on the block include, operating wind power generating plants with aggregate capacity of 873.5 mw, and its under-construction wind power generating plants with aggregate capacity of 104 mw. Its asset management services for the wind power generating plant, business division that carries out project development and implementation of wind power plants will also be sold. To achieve a long-term solution, IL&FS appointed resolution advisor Alvarez & Marsal (A&M), which will evaluate the short and medium-term liquidity and develop 13-week cash flow estimates for the next 12 months at entity level along with its debt serviceability potential. More than 165 entities have been reviewed and close to 100 entities have operational cash gap till March 31, 2019. The resolution advisor is also in the process of reviewing the existing capital structure of entities within the IL&FS group, assessing incremental funding requirements for capex and working capital at the relevant entity level. “It will also classify entities based on debt serviceability and viability, assisting in identifying entities suitable for monetisation and identifying encumbrances created on assets of various entities within IL&FS group and approvals for divestment at holding company level, business vertical/ platform level and at the level of the operating special purpose vehicles,” the report said.